Salty, liquid water has been detected on the surface of Mars, opening the possibility that the Red Planet could support microbial life even today. 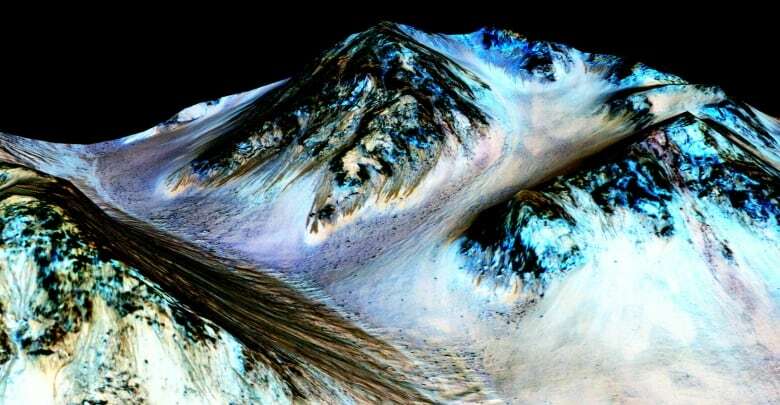 Water – a key necessity for life as we know it – still flows sometimes on the surface of Mars, a new study suggests. Strong evidence for seasonal flows of liquid salty water have been detected by NASA's Mars Reconnaissance Orbiter, report scientists in a paper published Monday in the journal Nature Geoscience. "It suggests that it would be possible for life to be on Mars today," said John Grunsfeld, NASA's associate administration for science, at a news conference detailing the discovery. Previously, scientists have found ample evidence that Mars was once much warmer and wetter billions of years ago than it is now, and could have supported life then. It hasn't been clear whether the colder, drier Red Planet of today could still support microbial life. Many scientists think life could still survive deep underground, but not necessarily on the surface where it could be more easily detected. The new study looked at streaks that form on some slopes on Mars during warmer times of the year. Scientists previously suspected they might be caused by flowing, salty water. The streaks, which are less than five metres wide and called "recurring slope lineae," appear in the summer when temperatures can get above the freezing point of even fresh water and well above the freezing point of salty water - between -23 C and +27 C. They disappear during colder seasons. But no salt or water had previously been detected in those streaks. 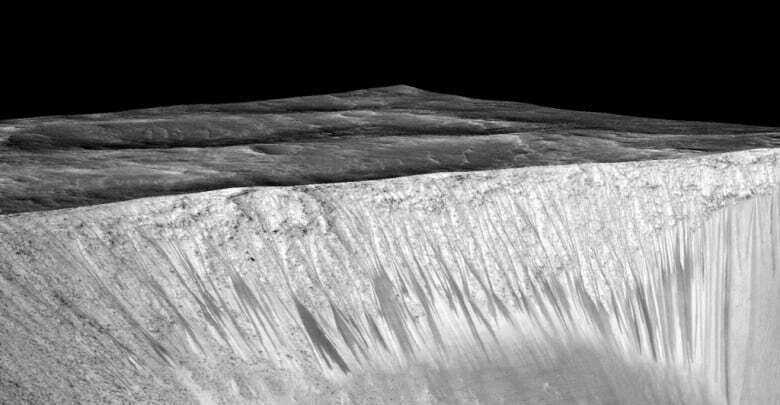 Now, Lujendra Ojha, a PhD candidate in planetary sciences at the Georgia Institute of Technology, and his colleagues are reporting they have detected the chemical signatures of brines in the streaks that suggest those streaks form as the result of "water activity on Mars" that's still happening today. The Mars Reconnaissance Orbiter spacecraft has been orbiting that planet since 2006, taking detailed images of the surface and scanning it for the chemical signatures of water and minerals associated with water. What Ojha and his colleagues did was tease out the chemical signatures from individual pixels in images of the slope lineae. They found signatures for water-logged salts in the streaks, but not in the surrounding soil. "These results strongly support the hypothesis that seasonal warm slopes are forming liquid water on contemporary Mars," the researchers wrote. The brine forming the streaks would be far saltier than the Earth's oceans — perhaps five per cent water and 95 per cent salt, suggested Alfred McEwen, a University of Arizona in Tuscon researcher who co-authored the paper. They would likely appear as thin layers of wet soil, not more than a centimetre deep — "not standing water," he said at the news conference. But because the streaks are visible over large areas of the surface of Mars, "if you add it all up, it could be a significant volume." In fact, said Mary Beth Wilhelm of NASA's Ames Research Center, another co-author of the paper, that water could potentially be used as a resource by future human explorers, decreasing the cost and increasing the resilience of human missions to Mars. The types of salts found — sodium perchlorate, magnesium chlorate and magnesium perchlorate — can lower the freezing point of water by 40 to 70 degrees and reduce its evaporation at higher temperatures, making it stable on the surface of Mars under a wider range of conditions than usual. That's what made it detectable even during the mid-afternoon - the driest time of day on Mars, but the time of day that the Mars Reconnaissance Orbiter scans the surface. In the paper, the researchers noted that on Earth, similar brines offer "the only known refuge for active microbial communities" in the driest parts of Chile's Atacama Desert. 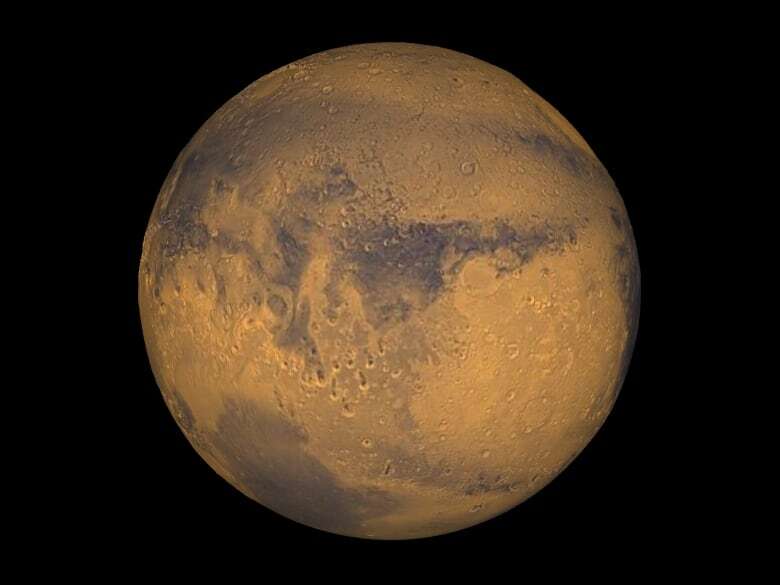 On Mars, such brines could provide "transiently wet conditions near surface," the researchers said. However, they cautioned that the amount of water may be too low to support known organisms that exist on Earth. Grunsfeld added that the brine streaks aren't the most likely place on Mars to find life - better conditions for microbes would likely be underground, near a source of fresh water, rather than salty water. The researchers said they still don't know where the water supplying the brine might be coming from. Most likely, Wilhelm said, the salts are absorbing water from the atmosphere until they dissolve, through a process called deliquescence. But researchers aren't sure if there's enough water vapour in Mars's atmosphere for that to happen. Signs of similar salts have previously also been found by the Curiosity rover that is currently still exploring the surface, as well as the Phoenix mission in 2008 and possibly the Viking landers in the 1970s.